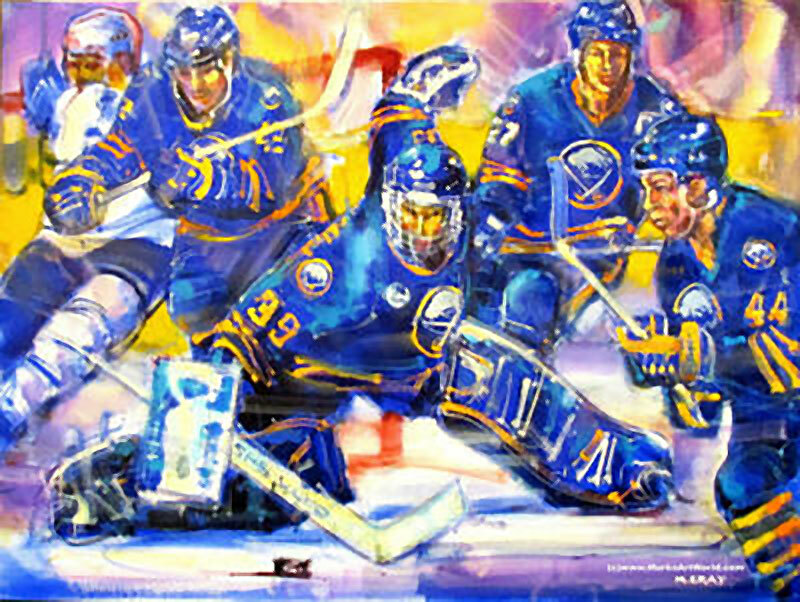 A painter in San Jose was commissioned by the NHL to paint an oil painting of former Sabres goaltender, and now NHL Hall of Famer Dominik Hašek. 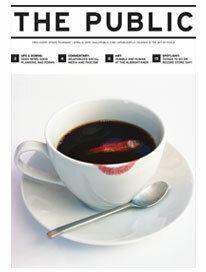 The artist is Mark Gray a world renowned sports-art artist. He did an adequate job crafting the image of Hašek mid save, alongside his longtime teammates and friends Richard Smehlik (left) Mike Peca (right, did he ever wear the blue and gold?) and Alexei Zhitnik (far right) crushing some annonymous Toronto Maple Leafs Player, but the painting has caused some fans to ask, why not a Buffalo-based artist? Mark Gray didn’t have much of a Christmas last month. In fact, the holiday pretty much passed him by. Instead of merry-making, the ace San Jose painter of sports scenes and personalities was hard at work. He had a deadline to meet. Gray was creating an original oil painting of Dominik Hašek, the former National Hockey League All-Star goalie. Hašek, who was inducted into his sport’s Hall of Fame in November, played for several teams during his pro career, most notably the Buffalo Sabres. On Jan. 13, the Sabres retired the No. 39 jersey of the man known as “The Dominator.” The pre-game ceremony included a presentation of Gray’s blue and gold painting, a stunning rendition of Hašek and fellow Sabres Richard Smehlik, Mike Pecca and Alexei Zhitnik. Also depicted on the 3-by-4-foot canvas is an anonymous player from the Toronto Maple Leafs, the Sabres’ archrival. “The tricky thing was to get the composition to flow,” says Gray about the riveting work, where one can practically hear the whip of the hockey sticks and slice of the skates. Hašek, known for his Gumby-like contortions as a goaltender, is about to place a full-body stop on a whizzing puck. Gray also delivered 390 lithographs of his painting. The prints, autographed by Hašek, will benefit his charity, Hašek’s Heroes… Click here to read more.